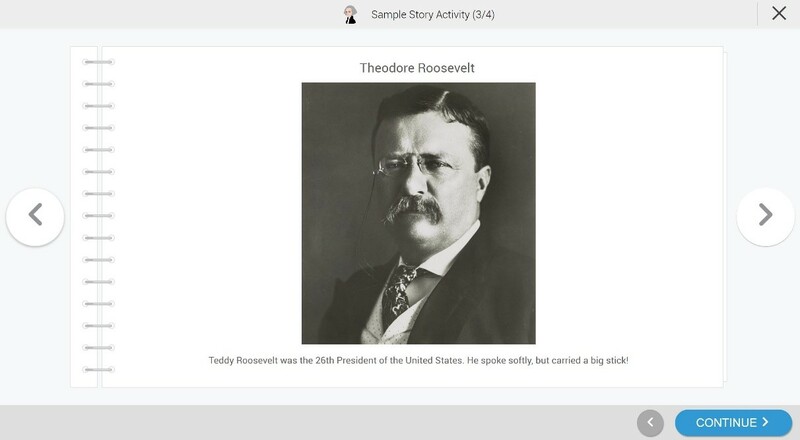 Students access the content that has been published to them through the ONEder Player in the form of several different activities. Here’s a rundown of each of the different activity types and how to interact with them in the ONEder Player. Mixed display activities help students understand more complex concepts by breaking them down into components that can be processed individually. The student can also click on the speaker icon to hear the ONEder Player verbally speak out each of the components. Once the student is finished, they can click the Continue button on the lower right corner of the screen to proceed to the next page, or end the activity if there are no more pages. 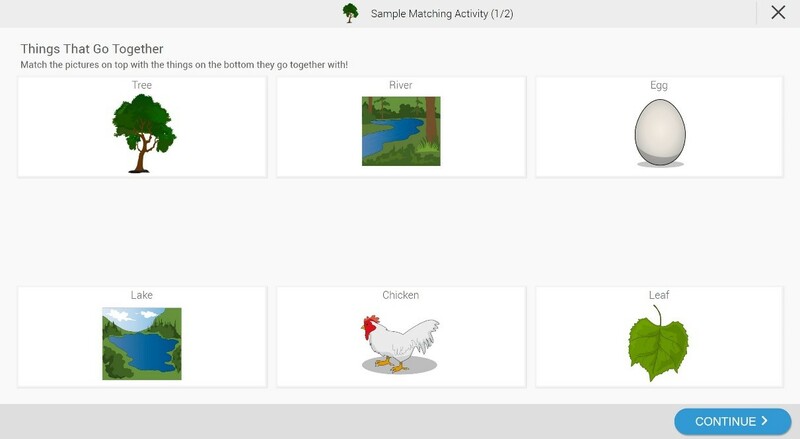 Matching activities present a student with two rows of items, and they need to match the corresponding items between the two. Once finished, they can click on the I’m Done button to complete the activity (or move on to the next page if applicable). 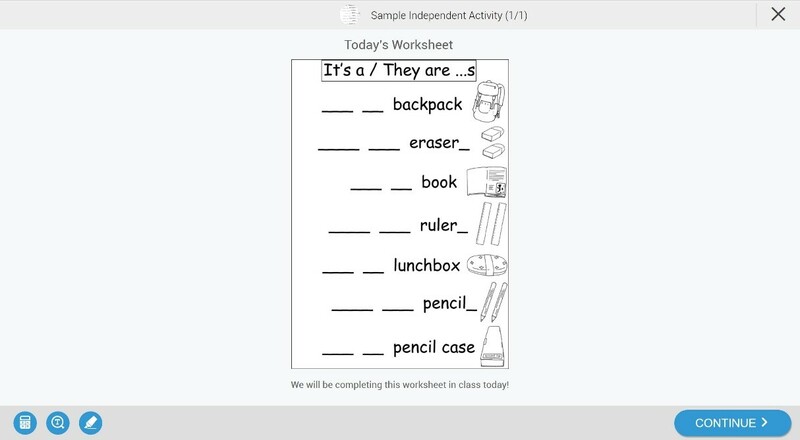 Sorting activities present students with a group of items on the left side of the screen, and at least two categories on the right side of the screen to sort the items into. 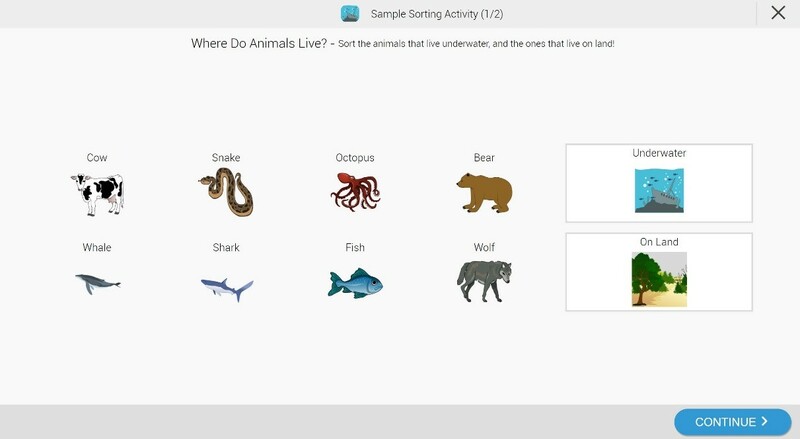 Once the student has finished sorting the items, they can click the Continue button in the lower right corner of the screen to move on to the next page or complete the activity if there are no more pages. Question activities present the student with a question or series of questions, which the student will select or enter an answer to before moving on to the next question. Three different types of questions are available: multiple choice, true/false, or free entry. After the student selects or enters an answer, they’ll click on the the I’m Done button in the lower right corner of the screen to move on to the next question, or end the activity if on the last question. Independent activities are academic lessons that include an image, audio, or video associated with an academic activity that doesn’t take place in the ONEder Player. For example, it could contain a placeholder such as an image of a worksheet that will be handed out, completed offline, and then graded using the ONEder Sidekick. 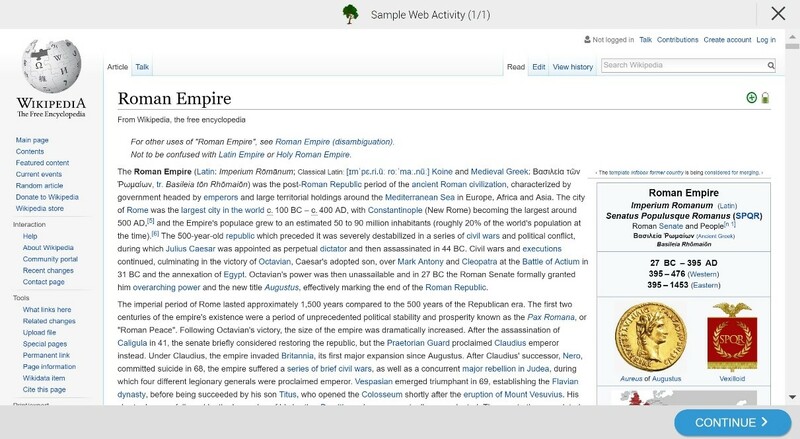 Once a student has finished viewing the independent activity, they can select the Continue button in the lower right corner of the screen to end the activity. Media activities present the student with an image, audio recording, or video, as well as an accompanying caption describing the contents of the associated media. After viewing or listening to the media, the student can click the Continue button in the lower right corner of the screen to complete the activity. Story activities can be best described as multi-page media activities. 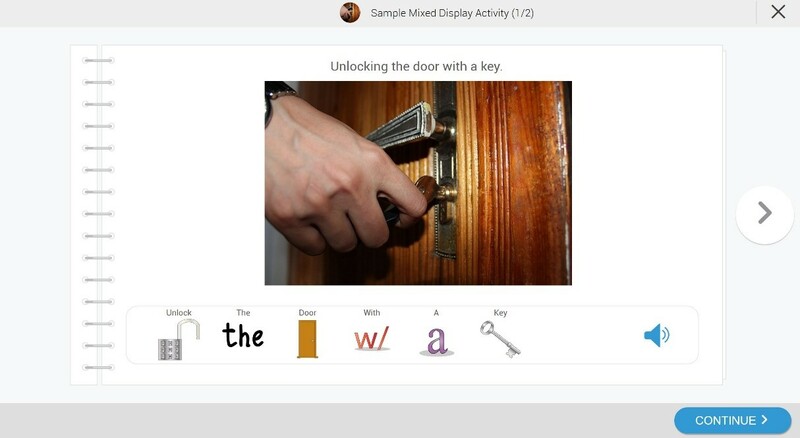 The student can use the left and right arrows to move forward and backward through the story, then click the Continue button in the lower right corner of the screen to finish the activity. Visual schedules help a student break a task down into individual steps. Each step of the task is arranged in order from left to right, with the ultimate goal displayed at the bottom of the screen. 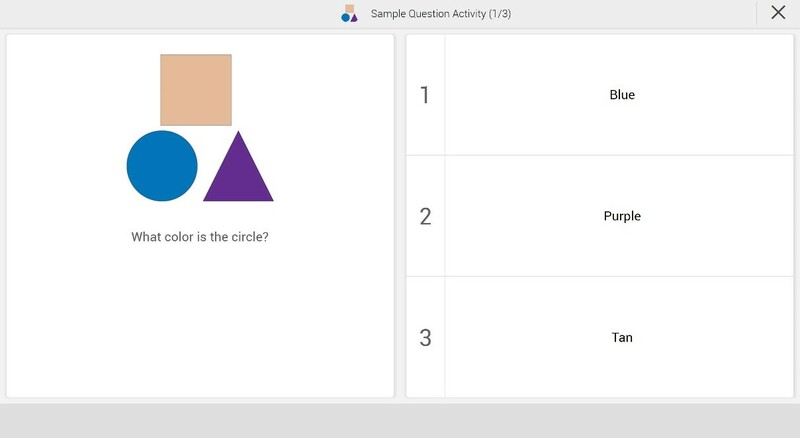 The student will select each step and then click on the image when finished to come back to the main activity page. Once the last step has been completed, the goal will appear on screen. Tap the X at the upper right corner of the window to close it, then select the Continue button on the lower right corner of the screen to complete the activity. You can also click Continue to end the activity early if the student fails to accomplish any of the steps. 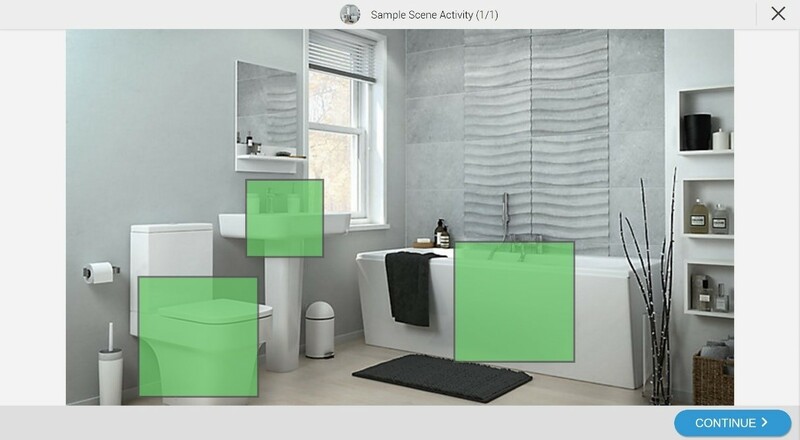 The scene activity consists of a background image with visible or invisible hotspots that contain more information about that specific portion of the image. 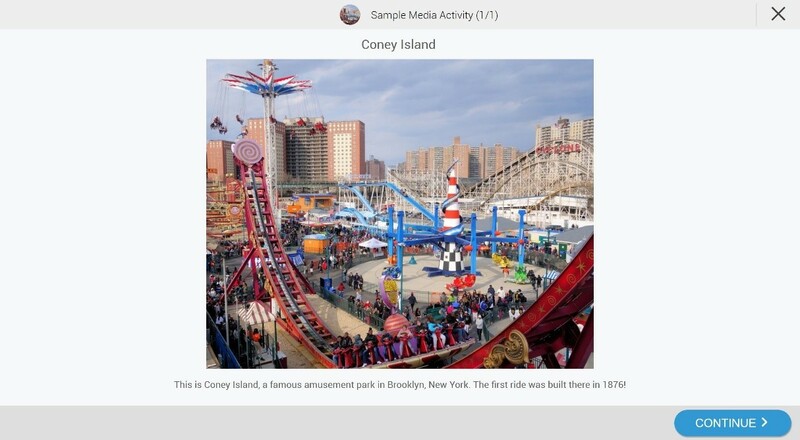 Each hotspot in a scene activity is actually an entire sub-activity, and can consist of any other activity type, including activities within the same lesson. If synthesized voice is enabled for this hotspot, you will also hear it speaking the text aloud. The student can click the X in the upper right corner to close a hotspot, and click the Continue button in the lower right corner of the screen to end the lesson. 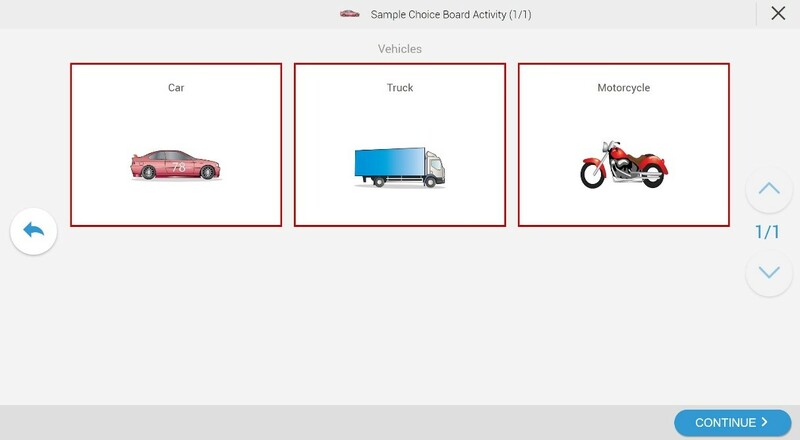 Choice boards present students with a dashboard filled with buttons representing different items, activities, or other concepts. These buttons can also be subgrouped into folders that each correspond to a common theme. Clicking on any of the buttons will cause the Player to speak the associated word aloud. Once the student is done, they can click the Continue button in the lower right corner of the screen to end the activity. Web activities make it possible for content from the internet to be included in ONEder lessons. Here’s an example of a webpage that’s been incorporated into a web activity. Just as they could in a standard web browser, a student can read the entirety of this webpage and follow any links it includes. A web activity can also include content linked from Google Drive, and has the ability to display any file type that Google Drive can. Once the student has finished viewing the web content, they can click the Continue button in the lower right corner of the screen to close the lesson.